Lamontagne Chocolate announces the arrival of 2nd generation members as partners in the shareholding of the company. Richard Lamontagne founded Lamontagne Chocolate in 1978. 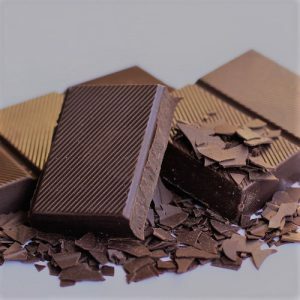 The company, which processes more than 2.5 million kilos of chocolate every year, is foremost a chocolate manufacturer, mainly intended for the self-financing campaigns of schools, sports teams and various organizations. Its chocolates, made in the Sherbrooke region of Quebec, are distributed throughout North America. For 15 years, Richard Lamontagne has been preparing the succession of this family-owned business. His children, Tina and Danny Lamontagne, who have already been working for more than a decade in the company, are now equal shareholders with their father. This is an important step in the company’s succession process!